Her favorite topics are secret archives of the Cold War era, shadow affairs and corruption, money laundering, suspicious ownership and property. Recently she has also been acitive in finding separated families from all over the World and reuniting them. Since 1998 she has sent about 700 FOIA requests to 10 US institutions to ask for declassification of documents from the Cold War Era. In parallel she continues her work in the Bulgarian Secret Archives from the same time. Alexenia has just finished her fourth book based on using the FOIA. 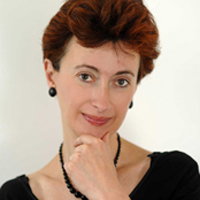 She is the author of 3 other books: ‘The Iron Fist’ (2005, London – in English), ‘The War of the Spies’ (2005), and ‘The King’s Secret Files’ (2009), which became bestsellers in Bulgaria. She is trainer on investigative journalism and access to information certified by South East European Network for Professionalization of the Media (SEENPM). Since 2003 she has been training mid career journalists in Bulgaria and around the World. Alexenia is a visiting lecturer in investigative journalism at Sofia University, and a researcher and team member for various international media projects. 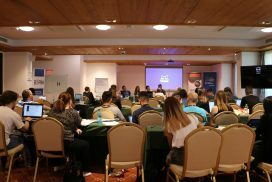 She was also was the local trainer on investigative journalism in a 3 year project run by BBC preceding the implementation of the media Self-regulation and the Code of Ethics in Bulgaria. Between 2005 and 2009 she was a member of the Bulgarian Press Complaint Commission. In November 2004 she received the most prestigious Award for investigative journalism in Bulgaria, having been nominated for the same Award for 2003. In 2006 she received the Golden Key Award – for using FOIAs both in Bulgaria and the USA. Dimitrova has 2 university degrees from Sofia University and post graduate fellowships in the World Press Institute – Minneapolis, in the University of Missouri, the University of Minneapolis (USA), Reuters (UK), Archus School of Journalism (Denmark), and the European Center for Journalism (Maastricht). 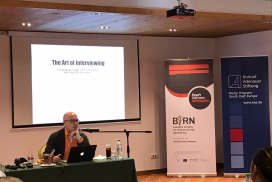 She has addressed seminars and other events of investigative journalism in Bulgaria, Switzerland, Denmark, Croatia, Netherlands, Moldova, Armenia, Slovenia, Germany, Bosnia, Albania, Azerbaijan, Canada, Turkey, Norway and Poland. 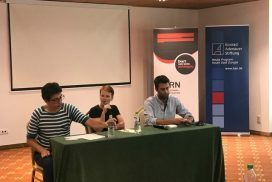 She is a member of Union of Bulgarian Journalists, the Investigative Journalists Association – Bulgaria, the International Federation of Journalists (IFJ) and the South East European Media Organization (SEEMO).